I want to sell my old iMac, how should I proceed? Answer: If you’re going to be migrating to a new iMac, it’s a good time to make sure you’ve got a secure copy of everything you need for the transition, so use Time Machine or clone your iMac’s hard drive. If you are getting ready to sell your iMac, back up your computer, including your personal data files and any apps you use. The easiest way to back up it is to use Time Machine, but you can also clone your iMac’s hard drive. Remember that the apps you’ve purchased from the Mac App Store, are connected to your your Apple ID and password, which you obviously don’t want to share with a new owner of your old iMac. Is It Safe to Force Quit and Application? Answer: When you Force Quit an application, you’ll lose any unsaved work in that application. So if you’re working on something important on something important and you haven’t saved for a while, give the machine five minutes or so to find its feet before trying to Force Quit. But if an application doesn’t respond for a while, select the name of the application and Force Quit. Answer: Activity Monitor, which you’ll find in Applications – Utilities, is a useful tool for seeing what your Mac is up to behind the scenes. One thing it lets you do is select a Force Quit individual task – such as utilities and Finder plugging that have frozen. Activity Monitor also allows you to keep an eye on your system’s CPU, RAM and disk activity, which can often be useful when troubleshooting. If a small inactive application is consistently using up about a half of your processing power, say, that’s a good signal that all is not well with that application. To keep an eye on CPU, RAM or disk activity while you work, click and explore the options in the View menu.. If you like, it will even display a real-time graph of your CPU usage on the utility’s Dock icon. Answer: OS X’s permissions settings sometimes go pear-shaped,, leading to all manner of problems. To repair permissions, open Disk Utility from Applications – Utilities. Select your Mac’s hard disk in the list and click First Aid then Repair Disk Permissions. If you can’t access Disk Utility, you can insert the Software install disc that comes with your Mac and reboot while holding down C. You’ll find Disk Utility in the Installer menu. Answer: Target Mode allows you to boot your Mac as an external drive to another Mac. To do so, turn off the Mac you want to use as a hard drive, and connect it to the other Mac, with a FireWire cable. Then hold down the T key on the first Mac and restart. Its hard drive will appear on the desktop of the other Mac. This operation can be a lifesaver, if you can’t start up your Mac, but you want to access its files,, or if you’ve forgotten your password and don’t have your start up disc at hand. Answer: If you can’t open, delete or move a file or folder, make sure it isn’t locked and that you have Read & Write permissions. Still no access? Repair permissions. If you sell your used iMac, no need to worry about your personal information as all data will be 100% wiped from your computer and all systems will be restored to original factory settings. Anyway, we insist that if you are getting ready to sell your iMac, back up your computer, including your personal data files and any apps you use. The easiest way to back up it is to use Time Machine, but you can also clone your iMac’s hard drive. Remember that the apps you’ve purchased from the Mac App Store, are connected to your your Apple ID and password, which you obviously don’t want to share with a new owner of your old iMac. If you feel, you don’t want this iMac any more you can sell it to us. We’ll give you the best deal on the market. 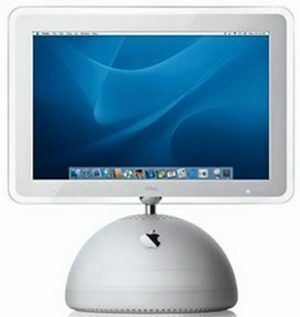 Free instant quote, free shipping, fast and secure payment: Sell iMac online for cash. Video uploaded by Computing Forever on October 10, 2014.